Send email notifications to customers based on a set of preset triggers. Such emails may be sent after a specified amount of time has passed, a customer’s order has shipped, or a customer entered their email but failed to submit the order. Have you ever been on the receiving end of an email that says ‘your order has shipped!’ or ‘your order has been delayed!’. It definitely beats copying and pasting the tracking number and finding on USPS or UPS right? If you are the owner of an eCommerce business and you’d like to do a favor for your customers, then consider implementing Optimum 7’s Custom Email Notifications functionality. This functionality is perfect for any business that sells products online and ships them to customers. However many stages are in the ordering process, customers can receive an email notification every time a new stage is met. For example, when an order is placed, an email can be sent to the customer saying ‘we’ve placed your order’. Then when the order ships, an email can be sent to the customer that says: ‘your order has shipped’ and on and on until the order is received by the customer. The Custom Email Notifications functionality keeps customers up-to-date on their orders. It’s useful for customers because it keeps them in the loop of what’s happening with their orders and customers can have an idea of when their orders are going to arrive at their locations. Optimum7 can incorporate a number of stages, so whatever your process is, just let us know and we can create a functionality for it. For example, if there are 3 stages in your order process–shipped, delayed, ready, and printed–then we can have an email be sent to customers every time an order reaches a new stage of the order process. It’s as simple as that! The advantages of having this functionality implemented on your eCommerce site is that it is useful for customers and saves some work for the people on your team that handle customer service. When a customer gets an email that says his or her order has shipped, then he or she won’t have to call your business to check in on the order. 1 step of the ordering process is saved! Another benefit of this functionality is that it tells customers that they placed orders in the first place. For example, when a customer places an order, an email is sent to them that says the order was received. If the customer doesn’t get an email then he or she didn’t fully submit the order. This functionality saves time on both ends of the ordering process: the business end and the customer end. Everyone can easily know what’s up with particular orders and there isn’t a need to call in and check on the statuses of orders. Ready to see what this functionality can do for you eCommerce business? Try it out today when you call Optimum7. Our team is prepared to create a custom functionality just for you or talk about what we can do for your company in further detail. We look forward to speaking with you! 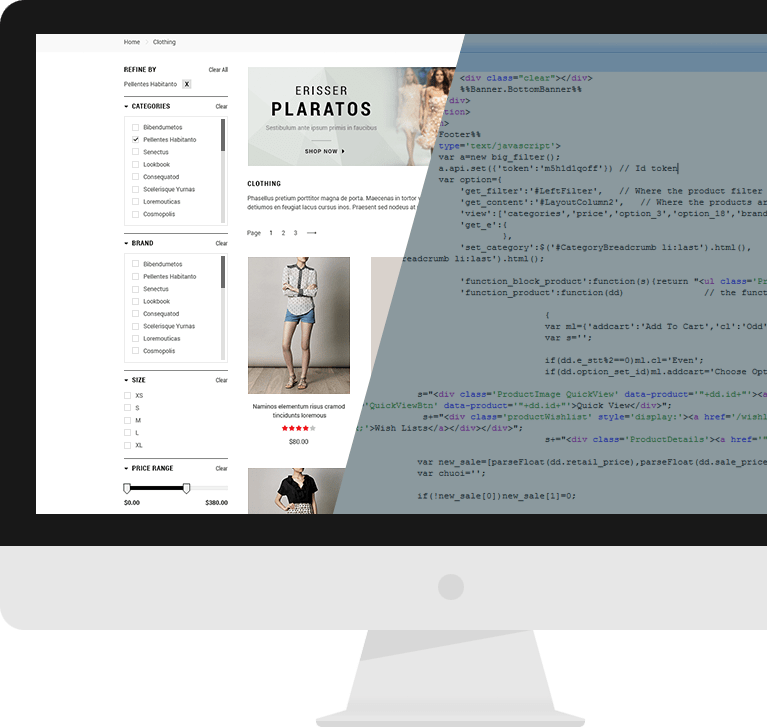 We can help you determine which functionality is best for Shopify, Bigcommerce, Volusion, VTEX, Magento, 3d Cart, Wordpress / WooCommerce, Opencart, Episerver, Oracle ATG and any Custom Cart. Contact us today with any additional questions you may have about our functionalities.